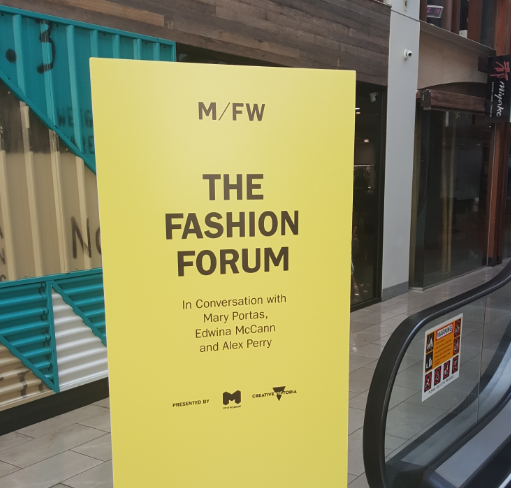 The Fashion Forum was held on Friday 7 September in Southbank as part of Melbourne Fashion Week. Presented by Creative Victoria, leading industry authorities participated in discussions about the future of fashion, the key industry trends and the importance for emerging fashion designers to understand their target market. The speakers also noted that craftsmanship will continue to be valuable in high fashion and that Australia was at the forefront of sustainability in the fashion industry. Speakers included local fashion designer Alex Perry, editor-in chief of Vogue Australia Edwina McCann and international fashion icon Mary Portas UK Queen of Shops.